The first step needed to improve customer service communication is to figure out how your business is currently communicating with its customers. This can be done in a variety of ways: by assessing from afar, observing staff in action, asking staff members directly, or hiring a third-party to perform an audit or program to gather data. Whichever way it’s done, chances are you’ll discover that some of your staff could use some more guidance or training while other members are already great communicators. In our experience, it happens very rarely where a business has only great or only poor communicators. By gathering and collating data, it usually becomes clear that there are three big factors that play a role. When tackled correctly, these three elements can help your business vastly improve customer service communication and, as a result, develop stronger customer relations and gain returning, lifetime customers. In the ‘Greeting Customers’ mini-series from the last several weeks, we outlined the importance of greeting customers quickly, memorably, and the ‘right’ way. Greeting a customer is the first step to connecting with them. Connecting with customers can happen in a variety of ways, but every company in any industry needs to do it. In an article in the Entrepreneur from 2011, Lambeth Hochwald, lists several ways to generate a ‘personal connection with customers’. Throughout the 7 suggestions she lists, Hochwald stresses a human connection, encouraging business people to model themselves on the corner shop and learning about the personal ins and outs of the customer’s life, and stepping away from the computer and/or phone to deal with customers face-to-face. These are two tactics are not always feasible or practical for every business, but it’s the human connection that should be stressed here. Connecting with customers as a human being is a good way to remind them that you’re a person too, capable of empathising with their needs, desires, and expectations. 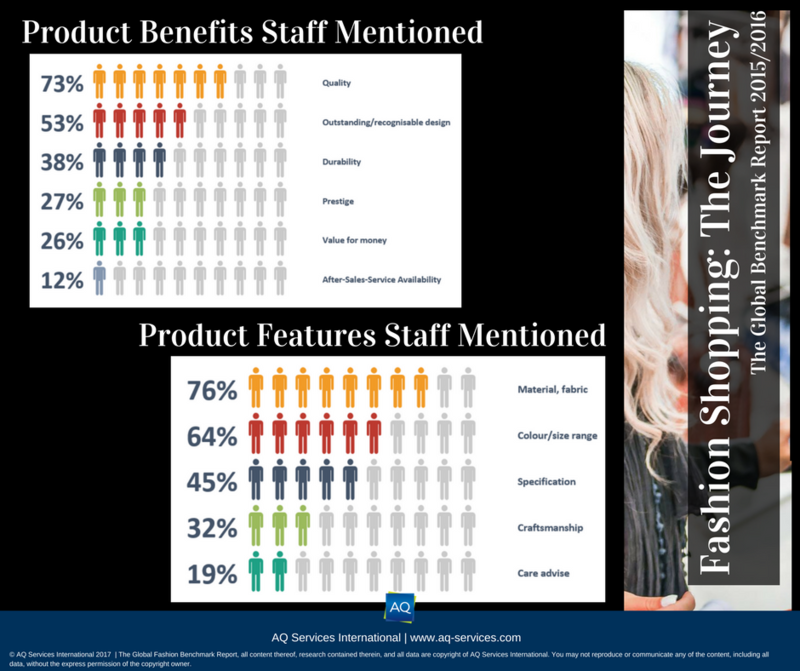 One of the things we discovered during the course of our Fashion Benchmark study was that product and/or service knowledge should be a key tool in a staff member’s customer service arsenal. 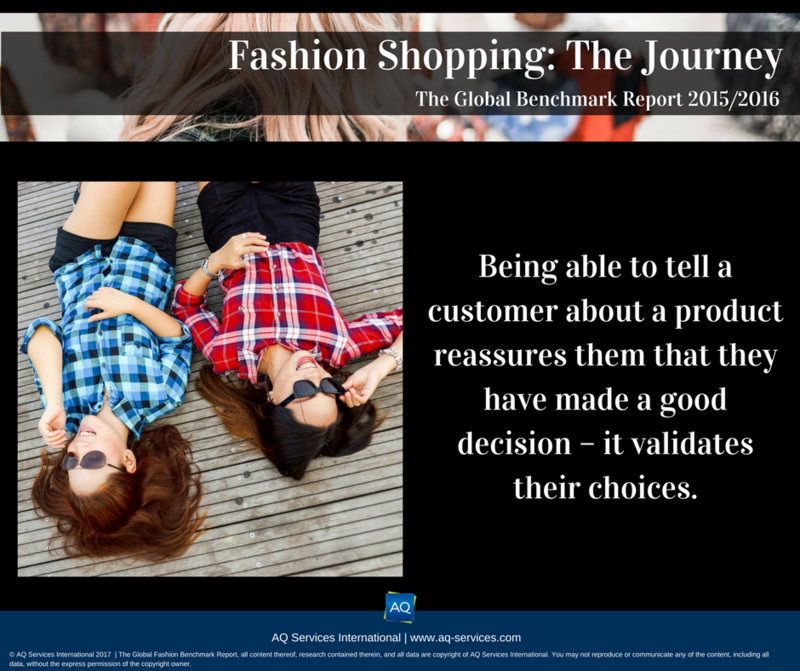 The number 1 thing that customers in the Fashion Industry listed as the reason for them returning to a store is staff’s product knowledge. The Internet, digital connectivity, and social networking mean that the days when staff were more knowledgeable about products and services than their customers are ofer. Customers today do most of their research before they ever set foot outside their door, let alone in your store. To win their confidence, and secure it against the competition, it’s important for staff to know what they’re selling. Solid product knowledge inspires trust, faith, respect, and helps generate a positive customer experience. It also better equips staff to be able to answer difficult questions, and boosts their confidence to close sales. Part of connecting with a customer and being able to provide the right amount and type of product information, comes from successfully identifying a customer’s needs. Even customers who come fully-armed with the knowledge of exactly what they want, might need some further guidance. They’ve done the research but need a final push to actually make a purchase. 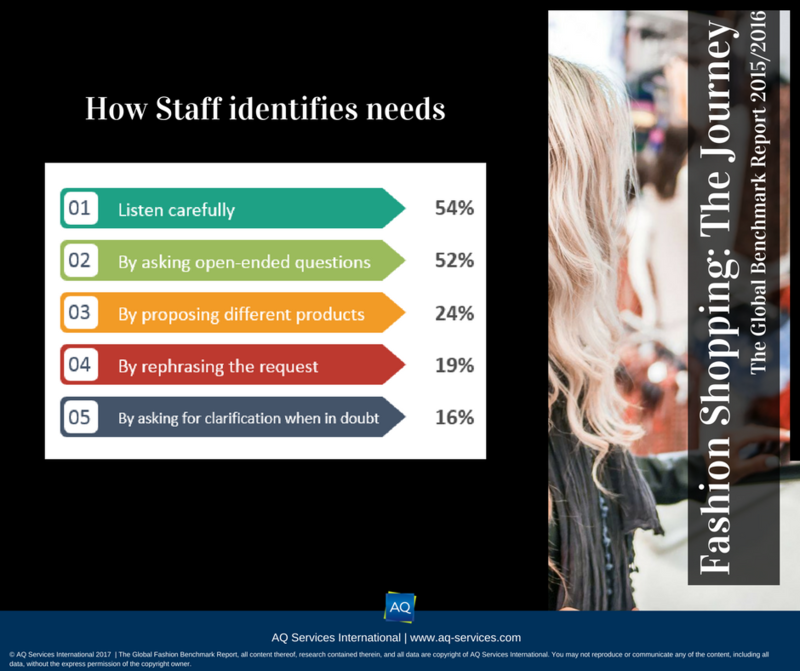 It’s good to see that in the Fashion Industry at least, most of the staff actively engages customers in some form of conversation to identify the needs. Correctly identifying needs goes a long way to help improve customer service communication as it opens up a two-way street for conversation, allowing staff to ask and answer questions about products and services. Active listening is about focussing on the conversation, engage with what is being said and aim to fully understand it. Some ways to improve on active listening is to repeat or summarize what the customer is saying, thereby showing that you’ve understood them, allowing for them to clarify or correct if something isn’t quite right, and ensure your own understanding. As we have established, knowing what a product’s features and benefits are is important. Actively training staff to know about the products they are selling will ensure that they have a foundation with which to work when customers ask questions. Rewarding staff for creating great customer experiences by connecting and engaging with customers is also a nice way to make sure that your staff doesn’t lose interest after a training session. It’s important to stay ahead of the game. To really improve customer service communication you have to make sure that your efforts aren’t going to waste, so be sure to check in on your staff on a regular basis. Again, there are several ways to do this, but one of the most objective ways would be to hire an external company to take a look. For example, in an article about mystery shopping program benefits last week, we mentioned mystery shopping as a great way to check up on individual or team staff performance. If that’s something your company might be interested in, you can always get in touch with our Business Development team. Otherwise, just bear in mind that you should stay on top of your staff’s performance, after all, communication rockstars aren’t born in a day. 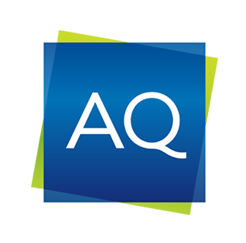 Olwen has been in marketing for more than 5 years, she‘s been with AQ since 2016. Her passion is for helping people and businesses improve their customer service experience by providing interesting content. Follow her on Twitter, or connect on LinkedIn. Read more of Olwen’s articles here. Greeting Customers: How to greet customers in a memorable way and why it’s... Greeting Customers (Part 3): Why Customers Should be Greeted Promptly.